For some years, Tesla has been the de facto electric vehicle market leader. Then again, why wouldn't it be? There was no one to challenge its leadership. Well, with the change in the automotive world, Tesla had better watch out. Here’s an interesting puzzle: which auto manufacturer’s recent battery order equals the size of another carmaker? If you were to have thought it might involve Volkswagen, you’d be half right. The automaker has just placed a huge order for the batteries it needs to ramp up its production of electric vehicles. The other part of this puzzle is a little more difficult, so we’ll give you a bit more time, plus a hint: the second manufacturer makes electric vehicles. While you’re thinking of an answer, let’s look at some of VW’s plans. If you have been following VW as it has climbed out of the hole that it dug with Dieselgate, you’ve also likely heard or read of VW’s commitment to making electric cars. At first, VW planned to have at least one new electric line at each of its 12 subsidiaries – or more – by 2020. By 2025, VW’s plans called for the automaker to be the world’s largest electric vehicle manufacturer, selling, perhaps, 1 million or more electrics. Following its recent board meeting, VW raised its ambitious goals to having as many as 80 electric vehicles for sale in seven years, while, at the same time, selling 3 million vehicles a year. VW’s electric plans call for a mix of electrics. They run the gamut from strong hybrid (12-volt) models, to weak hybrids with their 48-volt electricals. And, the marketing plans called for plug-in hybrids as well as pure electrics. It is quite a range. Okay, now that you’ve had a chance to think about our original question, care to think of an answer? If not, we’ll give it to you, it’s Tesla. Volkswagen’s most recent order for battery products is as large as the entire valuation of the Tesla Motor Co. Indeed, it points out something very interesting: it is easy for a market leader to emerge in a segment that has been ignored by the major makers. However, when those manufacturers turn their signs on that market, things change rapidly. And, frankly, while Tesla and its pure electric sales figures may seem impressive, Volkswagen with its huge plans, plus marketing, infrastructure and money, is poised to make Tesla a small also-ran (smallsoran?) in a market it is about to take over. To put it another way, Tesla has been cruising, supposedly as the current leader of the electric vehicle market. Indeed, sales of 300,000 vehicles over the last three years are quite respectable for a single range manufacturer. Tesla markets only pure EVs in a segment that is about to radically change. To prove its point that today’s market electric market leader, which grew while the major manufacturers like VW, Toyota, Honda and U.S. makers, were far more focused on internal combustion engines (ICE) and their technology, insideev’s, quoting Fortune, noted that battery orders currently placed by VW are “close to Tesla’s entire market value, or to put it another way, VW has ordered batteries to the scale of Tesla’s whole worth.”Here's a closer look at Tesla. This bit of information will likely leave Tesla with quite a headache as it tries to digest the significance of VW’s order and plans to build a total of 80 new plug-in electrics by 2025. 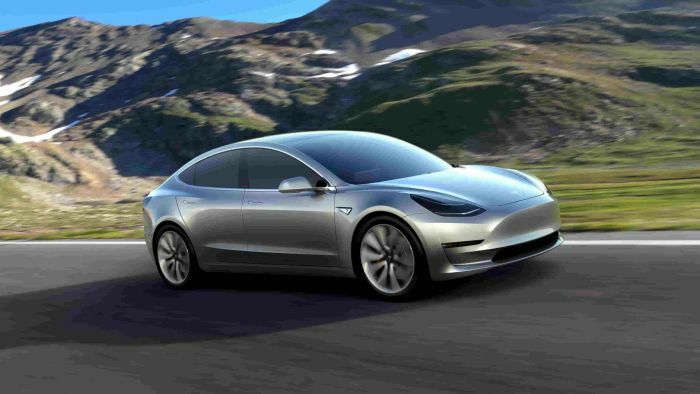 And, it has bumped its sales projections from plans to sell 1 million EVs and year to 3 million. I believe there’s a piece of a famed Shakespearian quote that covers this and Tesla’s leader Elon Musk at this moment from “Henry IV.” It is: “uneasy lies the head that wears a crown.” Musk is the de facto “king” of the electric market, at the moment, but with the big boys charging hard to catch up and pass Tesla Motors, Musk must be having many second, third, four and fifth thoughts at night when he probably tosses in his bed. If he is, though, he isn’t talking about them. Only time will tell how he really feels and where Tesla is going.